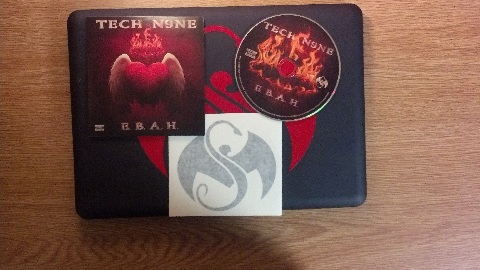 The word is in and it looks like Tech’s latest EP, E.B.A.H., could be his best yet. The brand new release made impact on Tuesday, serving up a hefty dose new Tech N9ne material backed by production from Seven and JMAC. Featuring early favorites like “E.B.A.H.” and “Don’t Tweet This”, the EP also includes guest appearances from JL of B. Hood and 816 Boyz on the monstrous banger, “Rock Yo Head”. After shooting up to the #1 spot on the iTunes Hip-Hop/Rap charts, E.B.A.H. also found a spot on the top 5 overall albums. With so much success early on, it wasn’t long before Technicians hit the web to speak on the release and let the world know just dope it really is. Tech’s best EP? Some folks seem to think so. Check out the reactions below! What did you think of E.B.A.H.? Where does it rank among Tech’s other work?